It always starts feeling like the holidays once Williams-Sonoma’s Peppermint Bark hits the shelves. We’ve partnered up with our friends over at TheFeedFeed & Williams-Sonoma to create a delicious recipe using the Peppermint Bark. 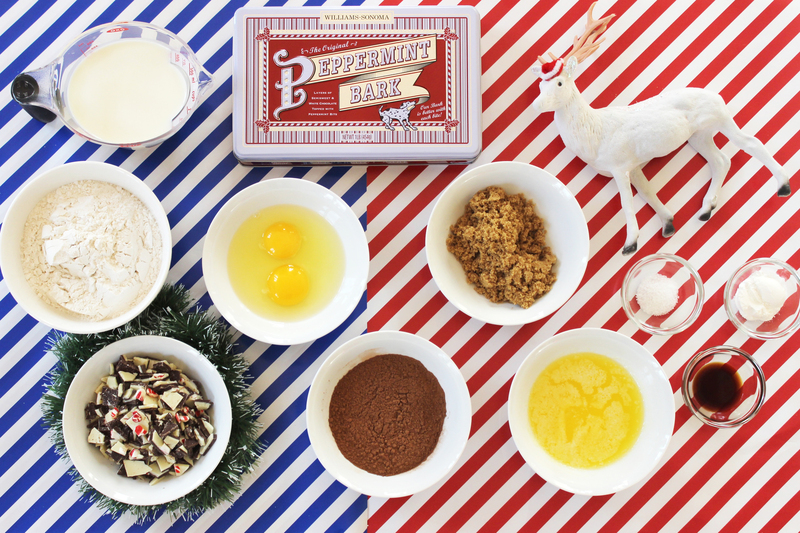 The nostalgic, retro candy doesn’t just make for a great stocking stuffer but it’s also the key ingredient to our Chocolate Peppermint Bark Pancakes. If that doesn’t sound decadent enough, it’s drizzled with a warm fudge syrup, and topped with you guessed it, Peppermint Bark! Can we get a #BarkYeah?! 1) For the chocolate sauce, in a small saucepan, heat heavy cream over medium heat. Just before it boils, remove the cream from the heat and stir in chocolate until melted and smooth. Set aside while preparing the pancakes to allow it to thicken slightly. 2) In a large mixing bowl, combine flour, cocoa powder, baking powder and salt. Set aside. In a medium mixing bowl, whisk milk, melted butter, brown sugar, eggs and vanilla extract. Stir milk mixture gently into the dry ingredients along with 1 cup chopped Peppermint Bark. Do not over-mix, lumps are okay in the batter. Over medium-low heat, pour ¼ cup pancake batter onto a hot skillet. Cook until bubbles form, then flip and cook on the other side until set. 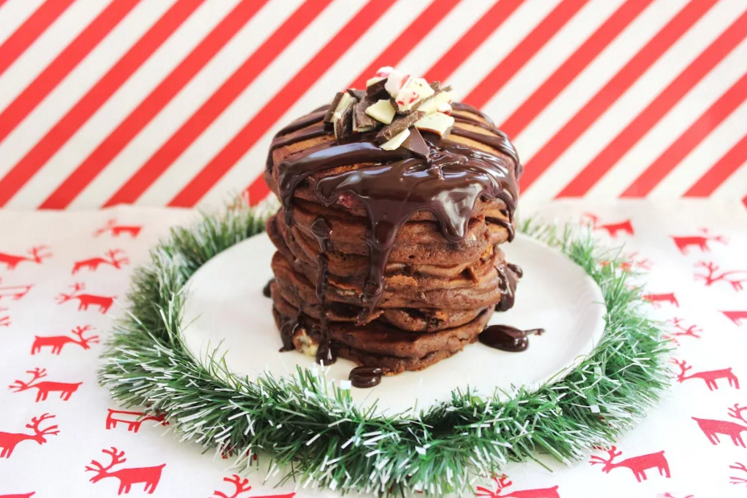 Stack pancakes on a serving plate, pour chocolate sauce over top and garnish with chopped bark. *This post was sponsored by Williams-Sonoma and Feedfeed.